What a freaking AWESOME lady!!!! 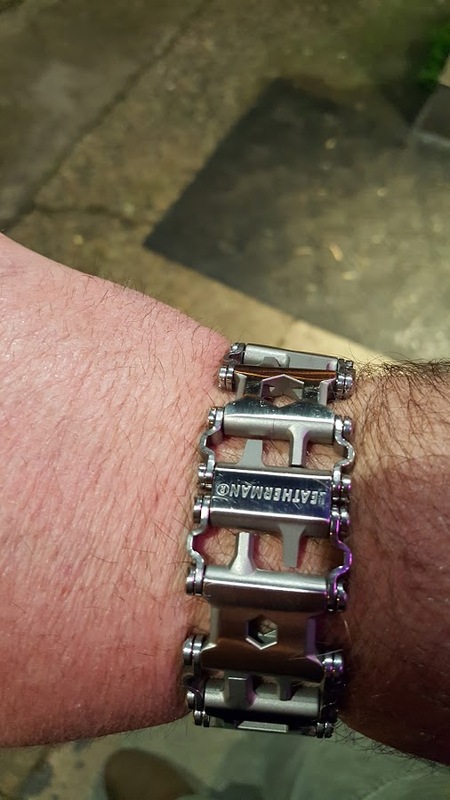 Anyway, one of the things that I picked up was their multitool bracelet called a “Tread.” I found it quite interesting and actually wanted to pick up the additional pieces that allow this to be a watch band. Fast forward about a month and lots of me looking for my watch, me messing with the bracelet, and testing this bad boy as much as I could. Here is what I found. The Allen wrenches on this are SAE. For some stupid reason every Allen headed bolt that I run into is metric. I have yet to even come close to being able to use one. The screwdrivers have received quite a bit of use, however. Interestingly enough, the bracelet is MUCH easier to use as a screwdriver than a multitool. It seems that it is designed to fold flat with the tool sticking out, thus giving a good handhold to really torque on things. It works quite effectively. There is a cutter type thing that opens letters and cuts string quite well. That is all that I have been able to find to cut with it. The pokey thing that is described as a SIM car remover does work decently as an “Electrical Device Reset Button Pusher.” Other than the beer bottle opener, these are the tools that I have found a need for. I think that swapping out the square headed bits for metric Allen wrenches would have been a better idea, but all said and done it does work well. For those of you with small wrists, you may have to take out a few links. Mine actually fits perfectly right out of the box. This is kind of odd because I have huge wrists and nothing every seems to fit them. Even my FitBit is on the last notch and pops off on occasion. The Tread is also quite heavy, which I like. 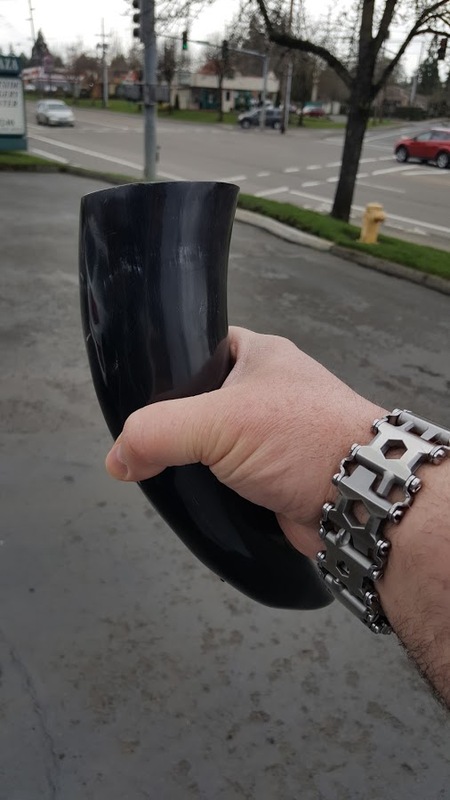 It makes it feel like you are toting an actual piece of metal on your arm. Too many tools are just novelty items. This may be novelty and gimmicky, but it at least will take a beating. Once I find my watch and get some batteries in it I will marry the two up and make it into a watch band with the adapter I purchased. If I was to do it over again, I would definitely pick it up for the price I got it for. At MSRP, I would think twice just due to the lack of daily use. Spending $170 on a bracelet or $170 on a nice knife will always find me looking for things to cut. It is a great piece of gear, though. This entry was posted in Emergency Preps, Miscellaneous and tagged leatherman, leatherman tread, multitool, tools, tread on March 13, 2017 by Woodsbum.